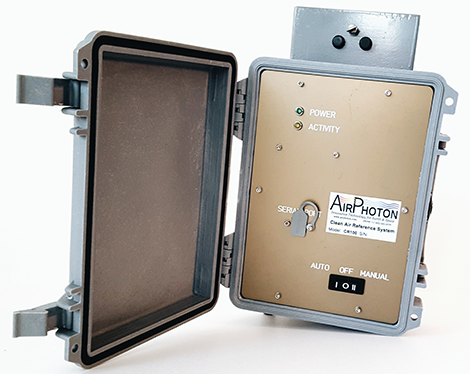 The AirPhoton 3-wavelength Integrating Nephelometer measures the light scattered by particulate matter, over the angular range from 70°F to 170°F. Employing an innovative design, the forward and backward scattering measurements are made completely independently. LED technology allows the nephelometer to make these measurements at 450nm, 532nm and 632nm, and to a sensitivity better than 10-7m-1. Internal sensors measure and log temperature, relative humidity and pressure. 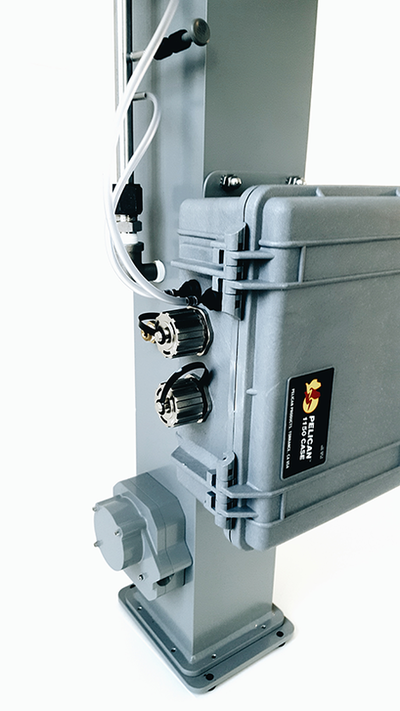 Small and compact, the 3-wavelength Integrating Nephelometer is enclosed in an environmentally protected case, ready for outdoor deployment in rugged conditions. Power requirements are 15W @ 120 VAC and input power options include: 110/220 VAC,50/60Hz with provided power supply, and regulated 12VDC from sampling station with provided power connector. Other powering options can be made available upon request such as operating from batteries or solar power. Optional heaters are available at the expense of additional power consumption. Data from the AirPhoton IN101 Integrating Nephelometer is saved in a removable SD memory card and can be linked to an external computer via RS485 or wirelessly via Bluetooth. 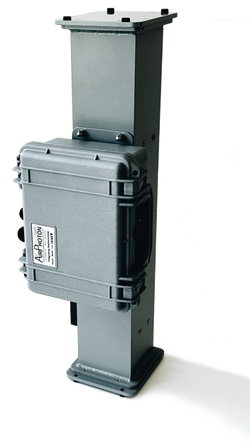 The IN101X nephelometer with an extended range is also available. AirPhoton collected data with the IN101 nephelometer while exhibiting at the AGU meeting at the Moscone Center in San Francisco in December 2014. You can see the data here: Moscone Nephelometer. Additonal data showing some very interesting results collected at night at the Moscone Center can be found on theAirPhoton Facebook page along with an explanation and the story behind the data. 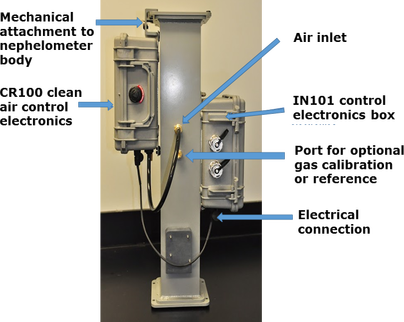 The IN101 integrating Nephelometer is designed for a stable and low noise operation. 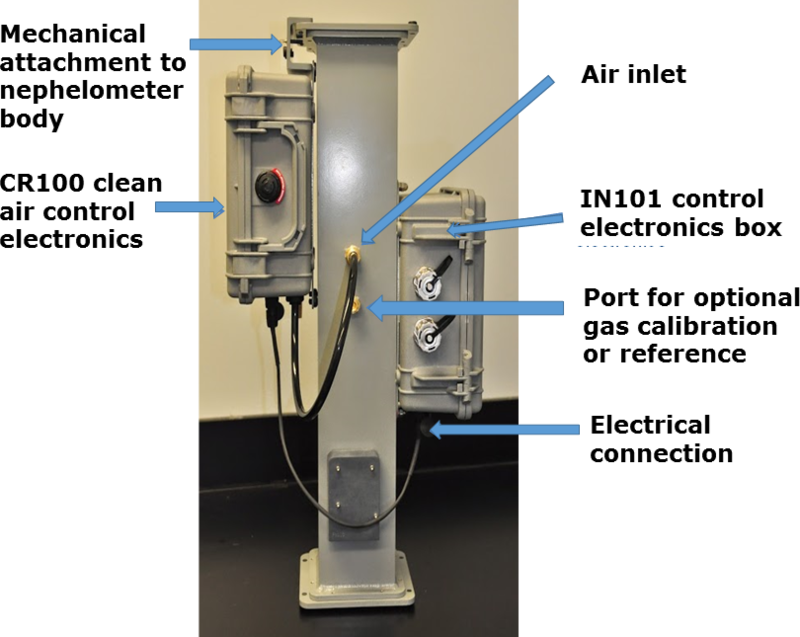 For more accurate operations a modular clean air reference system is available for separate purchase as an attachment to the Nephelometer. 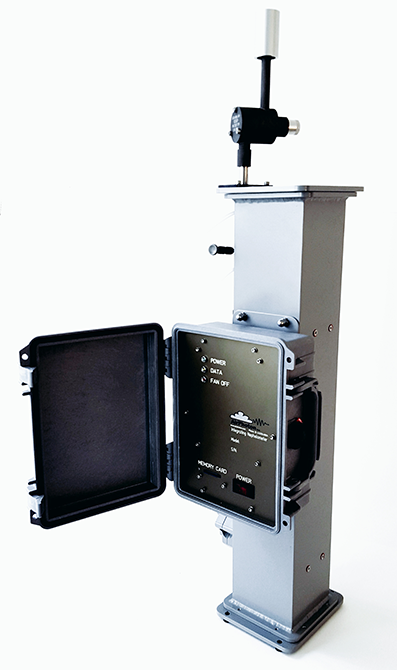 The CR100 clean air reference system is designed to compensate for potential calibration drift of the IN101 nephelometer. 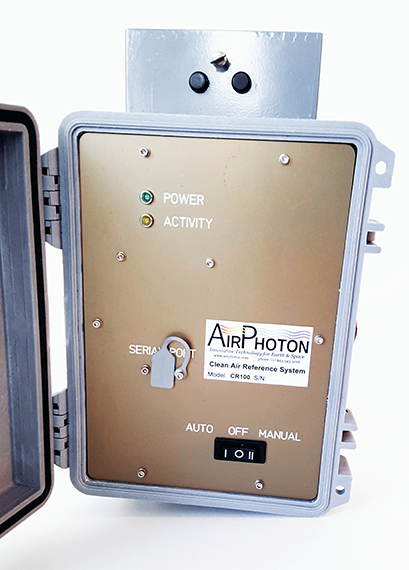 The CR100 pumps ambient air through a high quality HEPA filter that removes aerosol particles from the air to a level that the clean air can be used as a Rayleigh scattering reference for the nephelometer. The CR100 can be used as a semi-permanent attachmentto the body of the IN101 nephelometer or as a portable bench top reference system. The figure at right shows the CR100 system mounted on the body of a IN101 nephelometer.